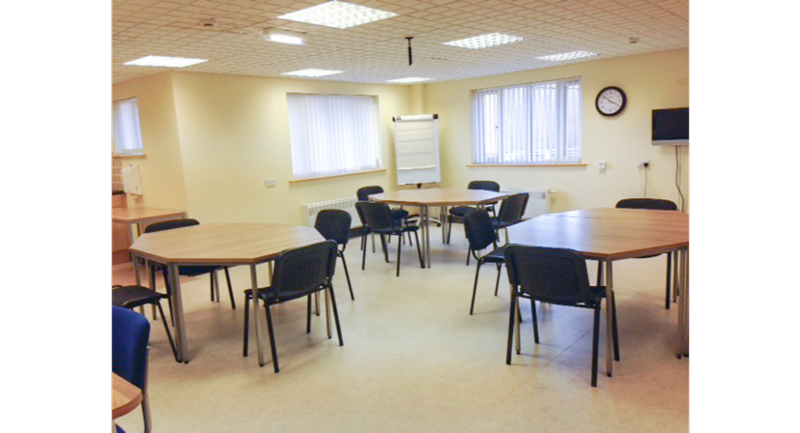 Located on Staithes Lane, next to Morrisons in Morpeth Town Centre, our 520sq ft conferencing / meeting room is ideal for meetings, workshops and training sessions. 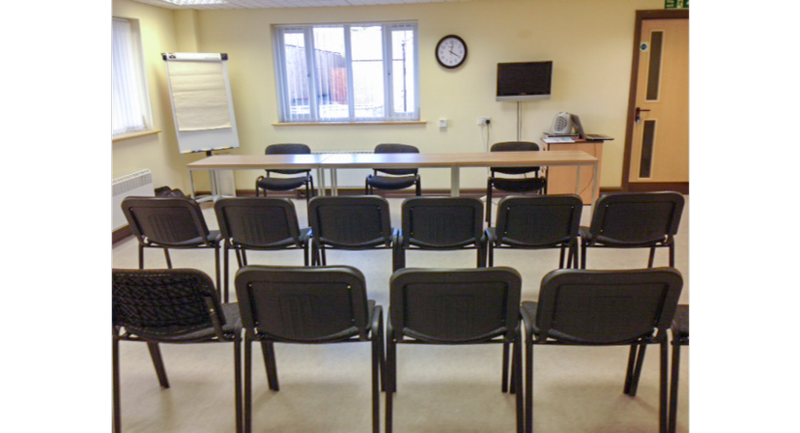 We have free onsite car parking, reception service, wifi, projector, flip chart and induction loop system. 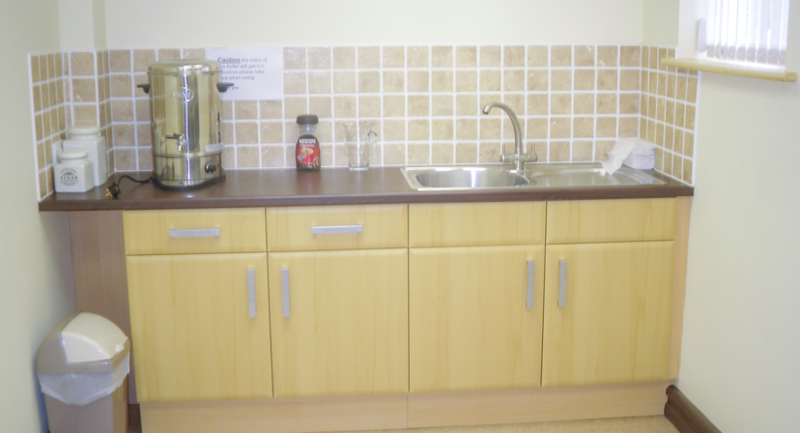 Tea and coffee is also included in the hire cost - the room includes a kitchenette area with tea and coffee making facilities. Tables & chairs can be arranged in any format upon request. 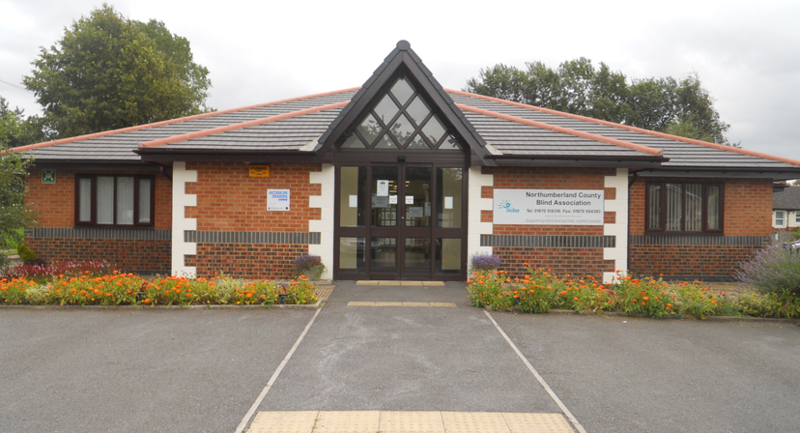 In addition, we have desks for hire in a modern office setting with wifi, photocopying equipment, staff kitchen, WC's, free onsite parking and sensory gardens. 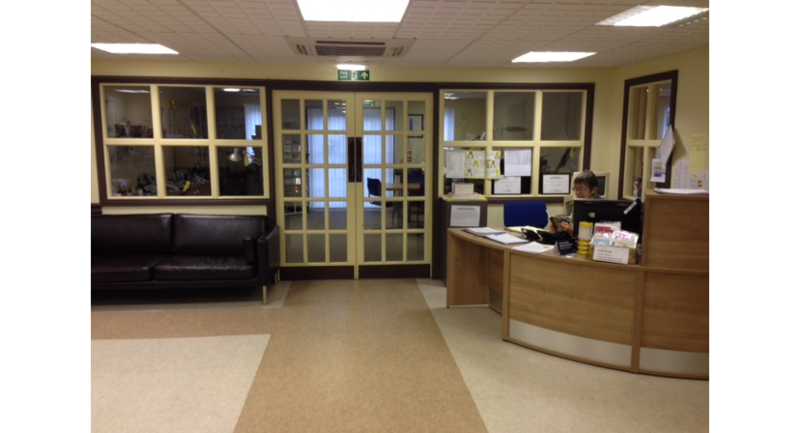 We also have a 102sq ft small office suitable for 2 people or use as a recording studio with free equipment hire. 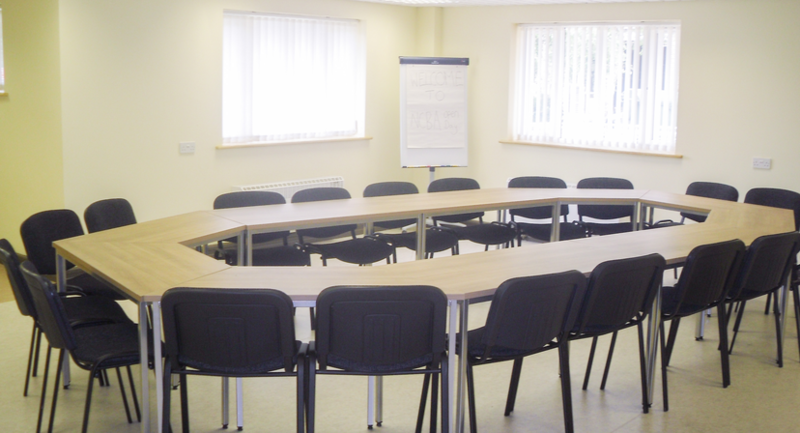 Modern meeting room seating upto 25 with kitchenette & tea and coffee making facilities, projector, flip chart and induction loop. Free onsite car parking. 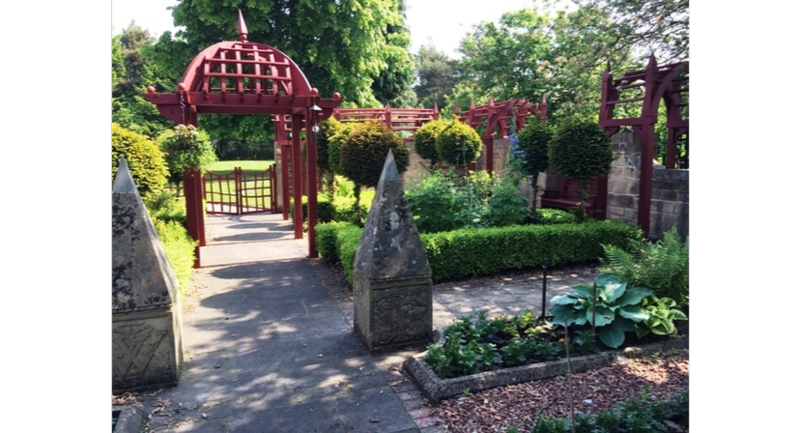 £15 per hour / £80 per day including tea & coffee.